Your first impressions of my blog - does it look professional? Cutesy? Too bright? It is both a personal, and professional blog - so I need to convey BOTH. While clicking on the tabs, is it easy to navigate? Does it look professional and well thought out? What could improve? 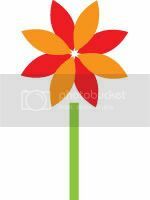 If you were looking to hire me for your blog design, or any other design - are there any questions or concerns that you have about missing information? Do all my tabs and buttons direct clearly to what your looking for? The whole thing is relatively simple in regard to special widgets, slideshows, weird links, etc... I've tried to limit all the extra "stuff" I see on other blogs that either clutter up the page, or take too long to load (i.e. flash, slideshows, etc...) But does this help or hinder me? Would you rather see a fancy flash intro or slideshow portfolio instead? Do you think I should have links to like facebook, Digg, Myspace, Stumbleupon, etc... somewhere? Does that really help? 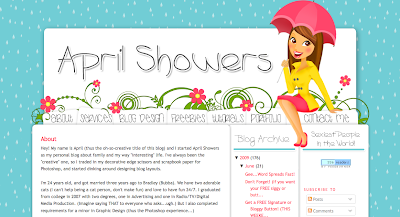 BlogCoach readers, what do you think about April's blog?